Silver has been in the center of investors spot light ever since the global economy went sour and gold prices went sky high. Investing in silver future contracts along with physical silver bars, coins and silver ETF’s has been very popular lately. Read below to find out more information on silver futures prices and factors affecting them. Silver futures are standard obligations to provide a set amount of silver commodity by a specific date upon an agreed price. Silver futures allow silver suppliers to guarantee that they will not be forced to sell too low and for buyers that they are not going to pay too high in case silver prices go up or down due to a variety of factors. Silver futures contracts are based on standard specifications and usually account for 5000 ounces of silver commodity per contract. This makes it easier for silver investors all over the world to understand and read silver futures charts. Understanding which factors affect silver futures prices will help you in making major investing decisions. 1. Silver supply is one of the main factors driving silver futures prices. Silver is obtained by direct mining and as a by product of precious and base metal mining industries. In addition, silver is recovered from scrap sources like broken old jewelry, electronics and various types of scrap silver objects. 2. 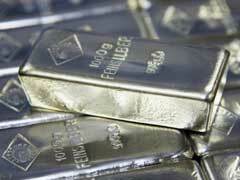 Silver demand is another important aspect that has direct influence on silver futures prices. The main field that is increasingly using up a lot of silver is manufacturing field for batteries, medical equipment is more. The following main consumer of silver is jewelry, coin and bullion industries. If demand for silver is high, the silver futures prices are to remain high. 3. Inflation has an immense effect on the market of precious metals including silver. When economy is going downhill many investors switch their investment portfolios from stocks into gold and silver. 4. Global economy in distress and negative economic prospects are sure to have an immediate effect on rising silver futures prices. 5. Political instability in major silver producing countries in South America like Mexico and Chile can have an additional impact on silver prices. If you are looking for silver investing advice, do not invest more than 10% of your total portfolio amount into precious metals.